This is the perfect act to suit any of your events. 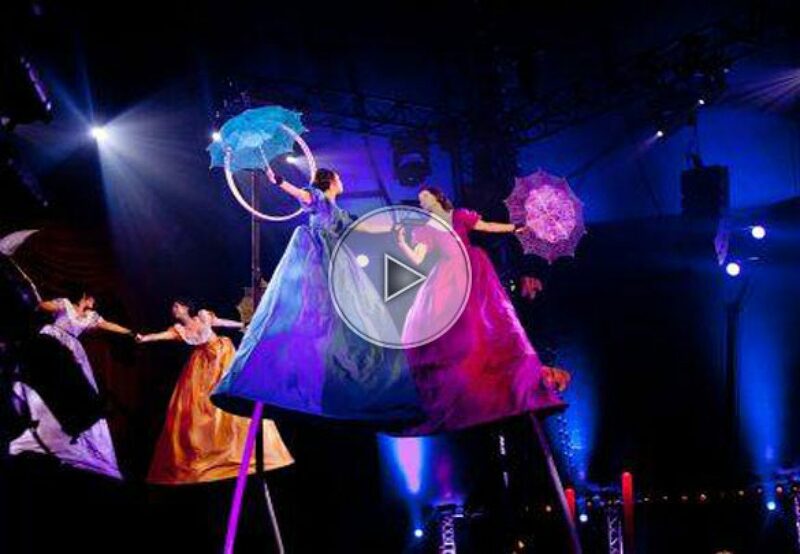 You want an aerial act but you do not have enough height or it is impossible to hang something? Just choose or swinging poles ladies with their colored dresses.